Here’s how it works: simply visit DoNotPay and make an account. 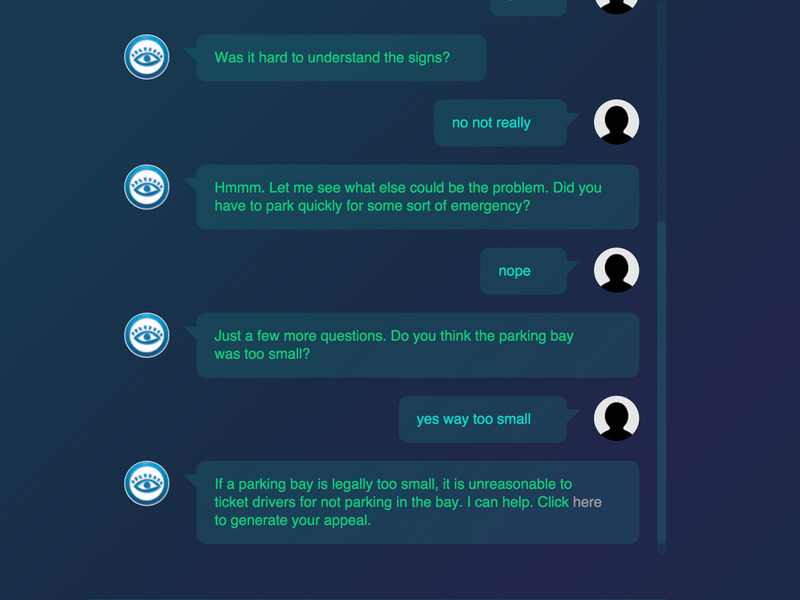 From there, the chatbot will ask questions about your parking violation, like whether there were signs indicating you couldn’t park. 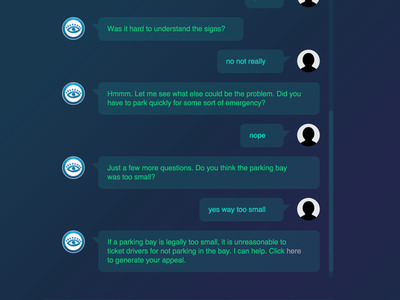 If you answer a question that shows you could have a case, the bot will help generate an appeal. He is currently working on a bot that can help Syrian refugees get asylum. He’s working with IBM’s Watson platform so that the bot can understand Arabic but write the legal documents in English.